After scouring the capital’s finest boutiques for those all-important holiday gifts, one feels rather too weighed down by shopping bags to indulge in the typical, stodgy, European, winter fare. This is where Nozomi comes in. 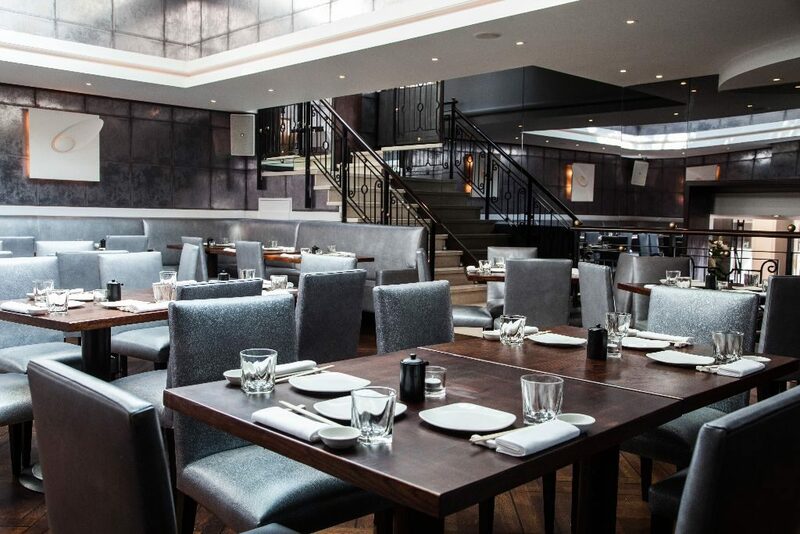 Ideally placed, but a stone’s throw from Harrods, this unique restaurant combines a bar with slick, metallic furnishings and fittings, with a lighter, high-ceilinged yet similarly gilded, dining area. 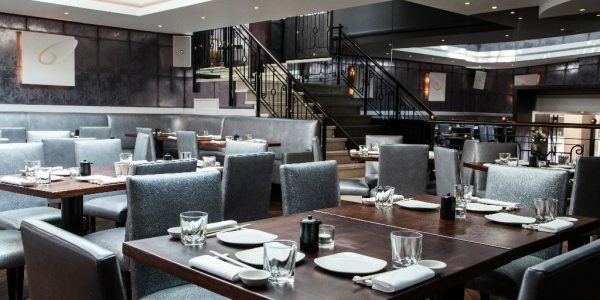 Nozomi’s clientele is the uber-glam society crowd that clearly knows that this is the latest dining hotspot but, on the occasion of our recent visit, there were also family parties (adult, of course), business-suited diners and a few couples in attendance. 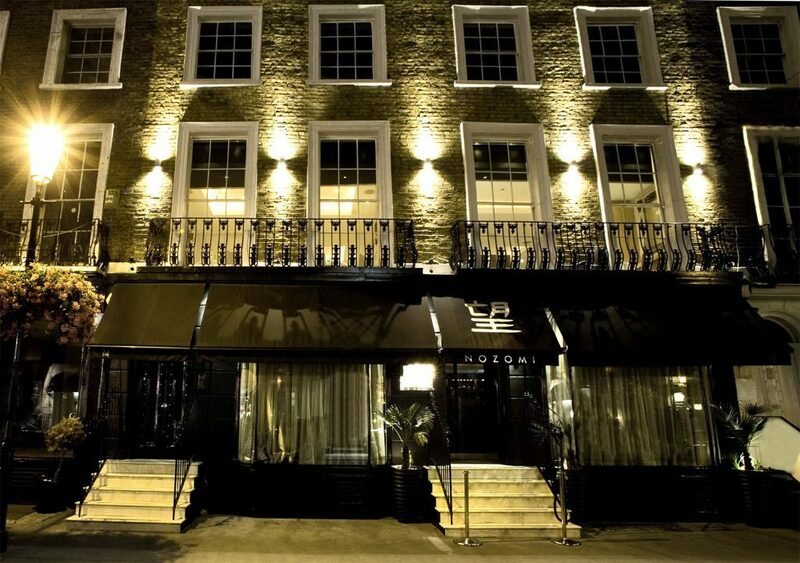 We were shown immediately to our seats and presented with tempting and extensive menus of both food and cocktails. 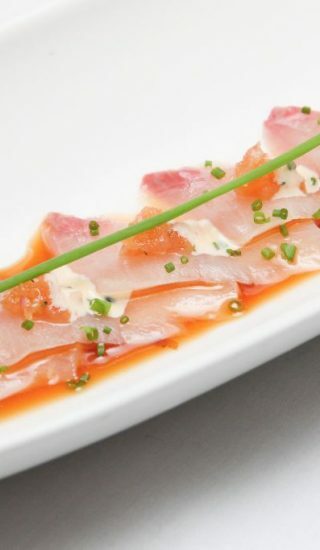 The menu ranges from sushi and sashimi, past a dazzling array of small dishes, to a few carefully selected main dishes. 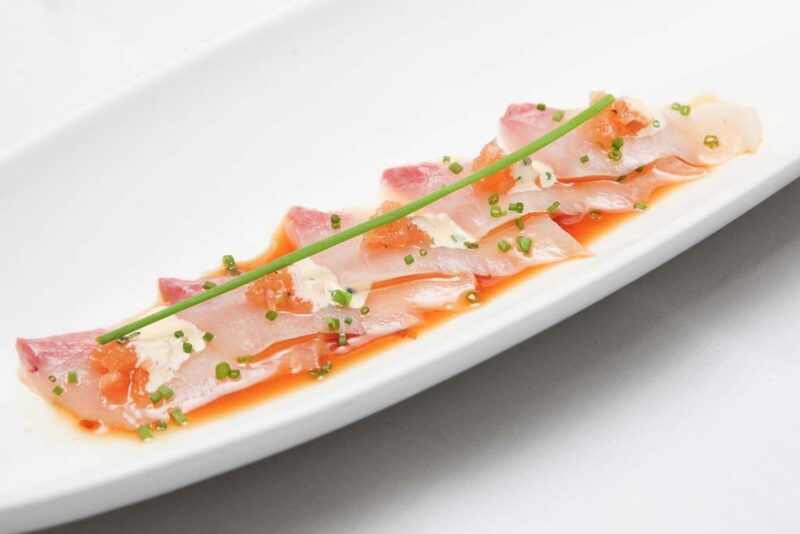 With our practised gluttons’ eyes, the small plates immediately beckoned – why have one dish when you can have several? We began with sushi and sashimi. Of course, all the fish was clearly of the finest quality, but our first mouthfuls only hinted at the deliciousness to come. 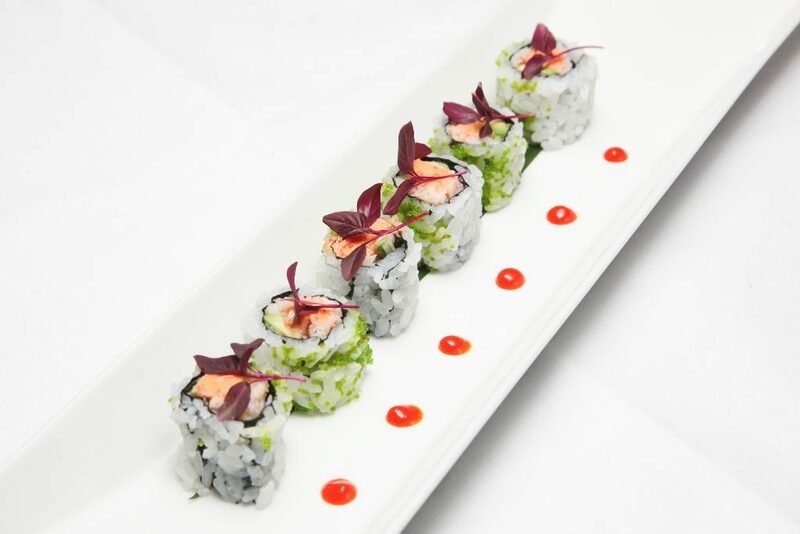 The combination of sweet soft shell crab and sharp chilli mayo in the spider rolls was perfection itself, further enhanced by the contrasting textures of light tempura batter and the pleasing tingling sensation of bursting tobiko. 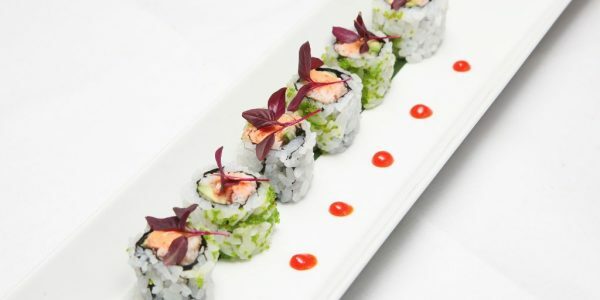 The spicy tuna rolls were another hit; the silky tuna sharpened with a hint of green chilli and nostril-tickling wasabi. 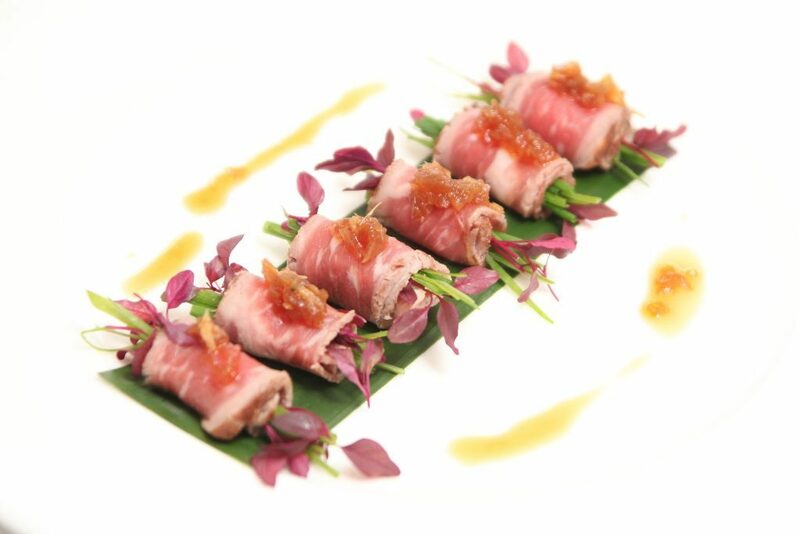 Choosing from the small dishes menu, we moved on to crispy kari kari squid, which was perfectly tender, an aubergine dish that was grilled and coated in sweet miso paste and a divine Wagyu beef tataki. 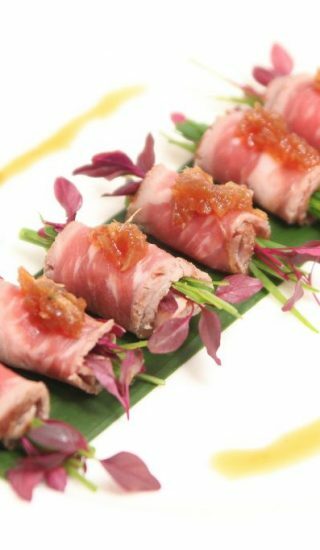 The beef in this last dish, topped with garlic chips and lotus root, was lightly seared and melted in the mouth. We were also unable to resist the scallop and foie gras steamed dumplings which, with their delicate presentation and sumptuous contents, turned out to be the beautifully wrapped holiday gifts that I wish I had put on my list! We ended the meal with some tasty desserts; the ubiquitous (but never boring) chocolate fondant for me and a ‘crème brule’ for her Ladyship, although this choice was made only when she was reassured that the description ‘deep-fried’ on the menu only meant that it had the expected burnt sugar crust. Throughout our dinner, we conducted a simultaneous exploration of the cocktail menu. Highlights for me included the lemongrass bellini, that I enjoyed as an aperitif, and the mango and chilli margarita with a pinch of Japanese chilli powder, lime, White Tequila and Cointreau. We finished with some creamy tiramisu flavoured concoction in martini glasses, served with crunchy biscuits, which provided a perfect end to the delicious feast. 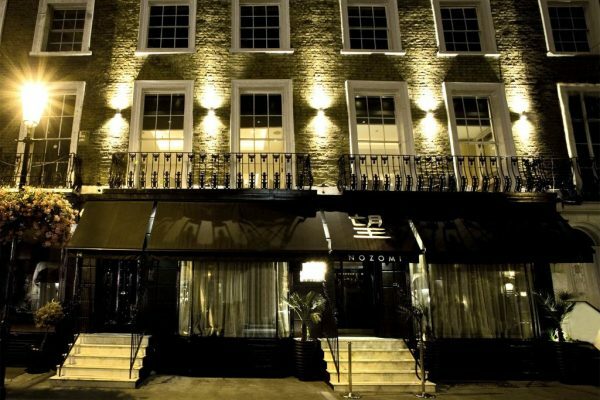 So, while you pound the streets of London hunting down the perfect prezzies for your loved ones, don’t forget to treat yourself and head to Nozomi, where expertly mixed cocktails and superb Japanese cuisine mean you are sure to end your day in glamorous Knightsbridge style!